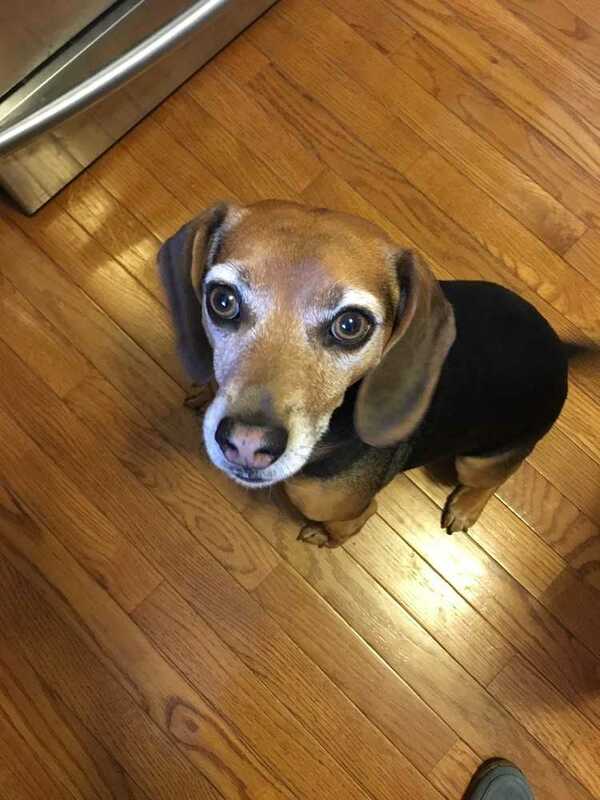 Hi all, my name is Vito and I am a mostly beagle mix approximately 6 years old. (My former family had my DNA tested just for fun and the results show 75% beagle, 15% carin terrier and 10% min pin...a very cute mix if I do say so myself). First I need to tell you why I had to leave my family. I loved my home with them but when they had a second baby, I just could not handle it and I started snapping at the babies. It is just too scary for me when very small humans get in my face and poke and pull at me. Foster mom says I am the sweetest, snuggliest little guy in the whole world but it would be best if I went to a home with bigger kids, 8 years old and up would be good. I am a little picky about other dogs. I do not like the ones that are larger than me! Since I had been with my family for about 5 years, I am feeling rather insecure and anxious right now and need some extra patience and time to adjust. Foster mom says I am really a people person and love everyone I meet so I will not have much trouble with new people, but what I do not like is being left alone, oh, and I am not a big fan of car rides. Other than that foster mom says I am outstanding as I never bother anything in the house, I am potty trained and sleep in my cave bed at night. I love walks and exploring new territory, naps and snuggling on the couch. Also I LOVE, LOVE, LOVE food and treats! I weigh about 26 pounds and I am up to date on shots and am generally a healthy beagle boy. So if you would like a slightly more mature, affectionate and snuggly guy, I could be the one for you. Vito is also neutered, HW negative and micro chipped. Vito is fostered in Omaha, NE. His adoption fee is $225.00.